Roger Federer defeated another Frenchman at the BNP Paribas Masters. This time around, he had a more routine match, defeating 20-year-old qualifier Lucas Pouille 6-4 6-4 in 1 hour 14 minutes. 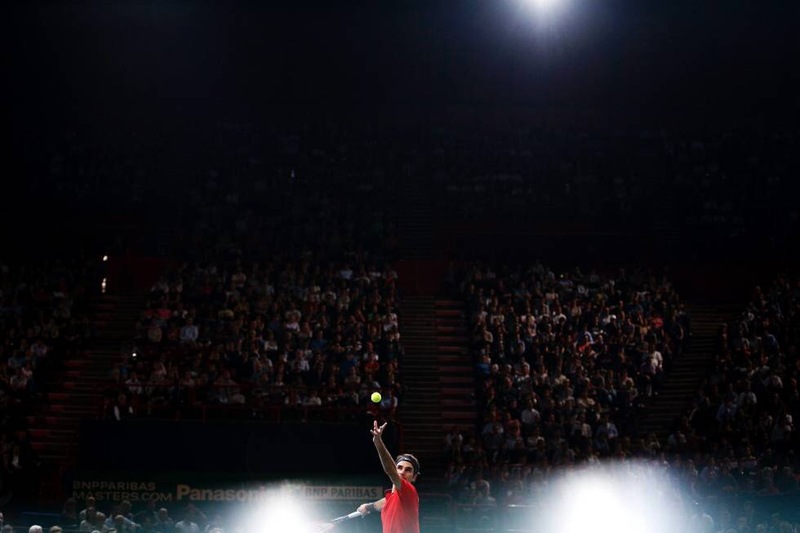 The Swiss maestro won 27 of 29 points on his first serve, and stayed one step ahead for most of the match. Time spent on court was about half compared to yesterday’s long three set encounter with another Frenchman, Jeremy Chardy. With a much easier time spent on court today, Federer is through to the quarterfinals of the Paris Masters, where he faces Milos Raonic, who defeated Roberto Bautista Agut earlier in the day. Each of their previous meetings have been in favor of the 33-year-old Swiss, although with some very close scorelines. Raonic is in need of a win to continue his hopes to qualify for the London World Tour Finals. If Federer wins, Berdych, Nishikori, and Ferrer will all qualify, regardless of the rest of their results this week.